Makepeace Brothers: "Acoustic Venice" Residency at Witzend - Yo! Venice! 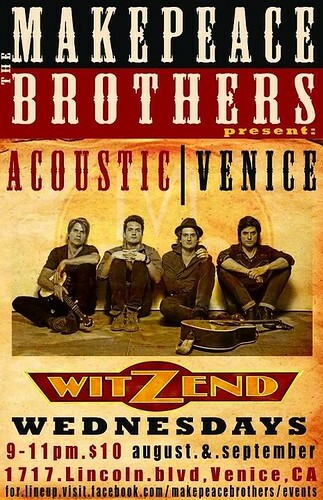 The Makepeace Brothers will continue their “acoustic Venice” residency at the Witzend on Lincoln thru September. Go check them out Wednesday evenings from 9-11 in August and September from 9-11pm. Each week there are special guests that play along with the band. Tickets are $10.